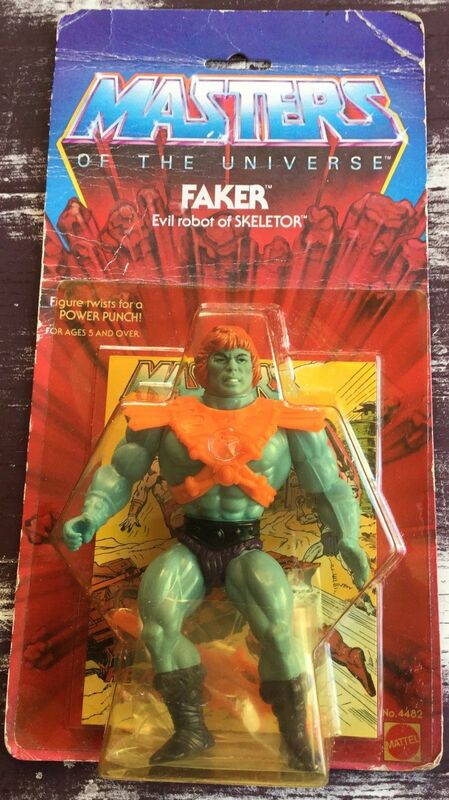 I always thought that one of the cool things about Faker is that, whether intentional or not, if you take a picture of Faker and put it through a “negative” filter, he ends up in He-Man’s colors (flesh tone skin and gray armor). 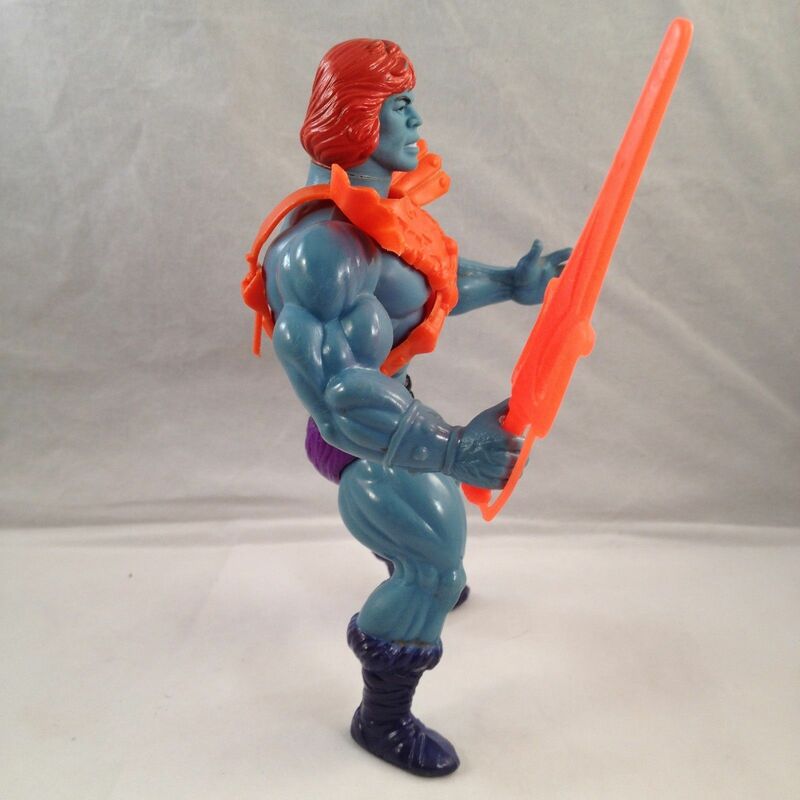 The effect also works on a He-Man figure. 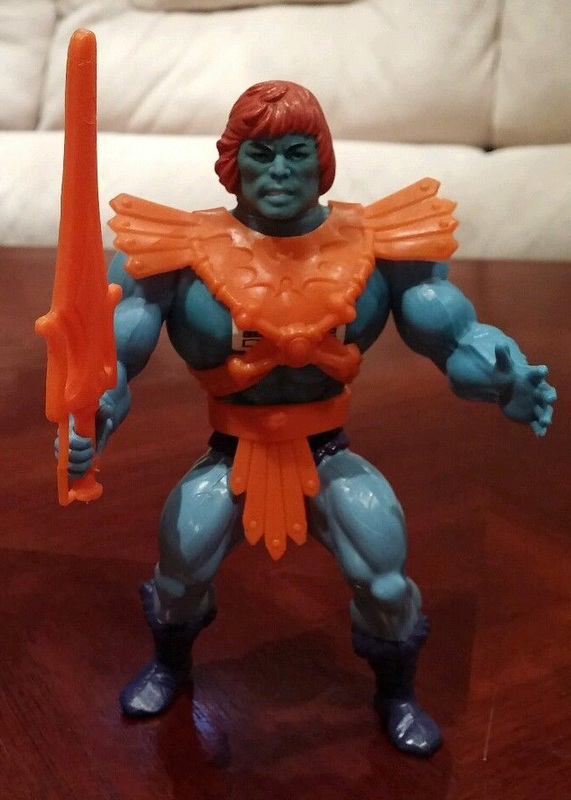 I wonder if they were snapping marketing photos of the He-Man figure and decided to create a figure based off of the negatives. We’ll probably never know. I always loved Faker, and played with him a lot. 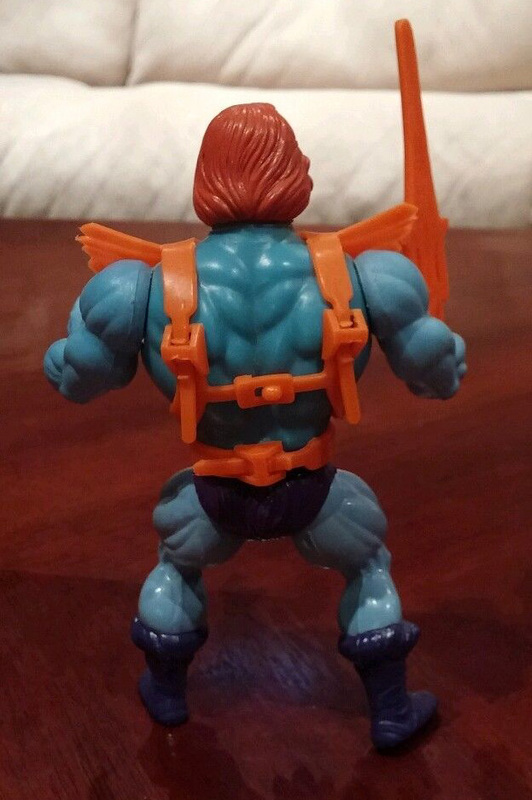 He was pretty much an original MOTU for me, as I was collecting during Wave 1 and Wave 2. It is a shame that he never got his due. 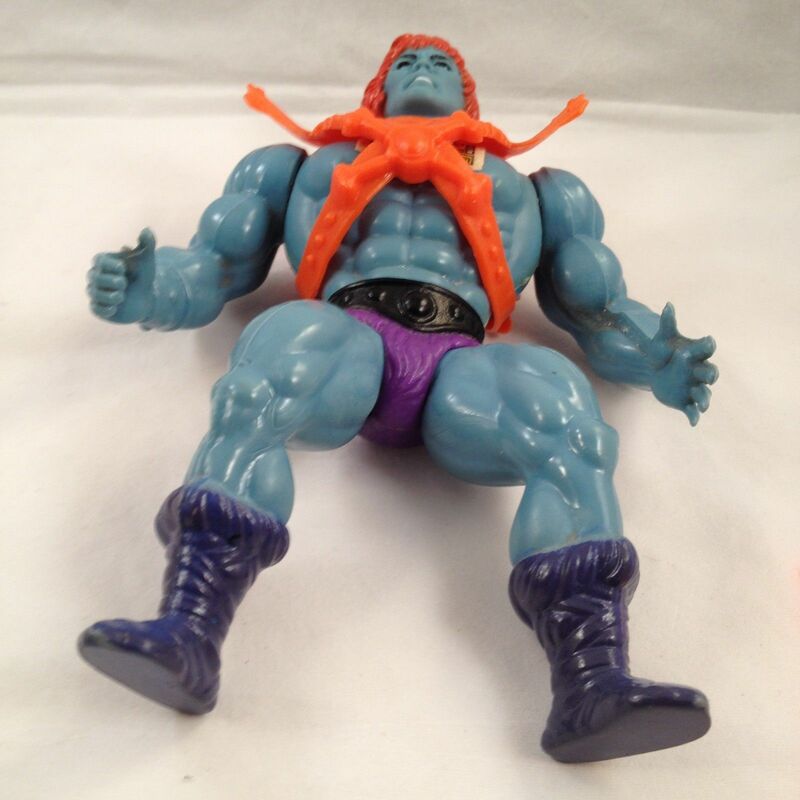 He was left out of being in Skeletor’s crew in the cartoons. 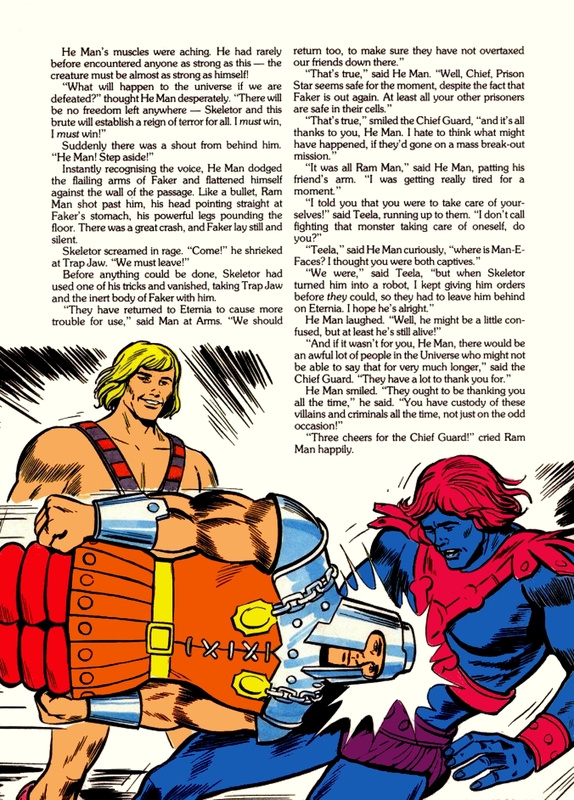 I have the obscure magazine and comic book appearances, and always wanted more. 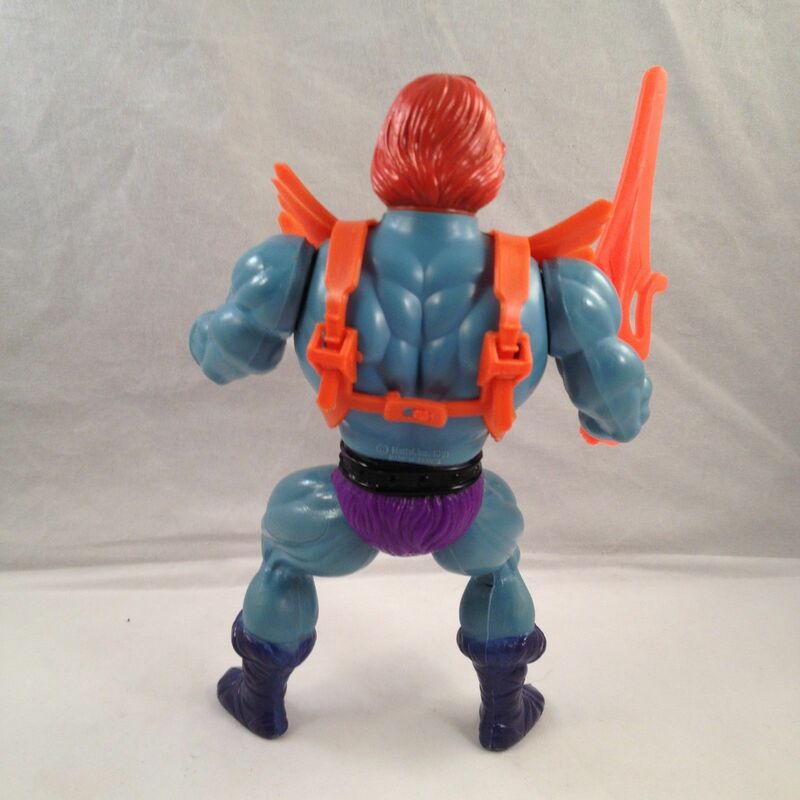 There appears to be a consensus among all the creators throughout all the various MOTU media, that he is not worth the time to develop or feature, I guess. 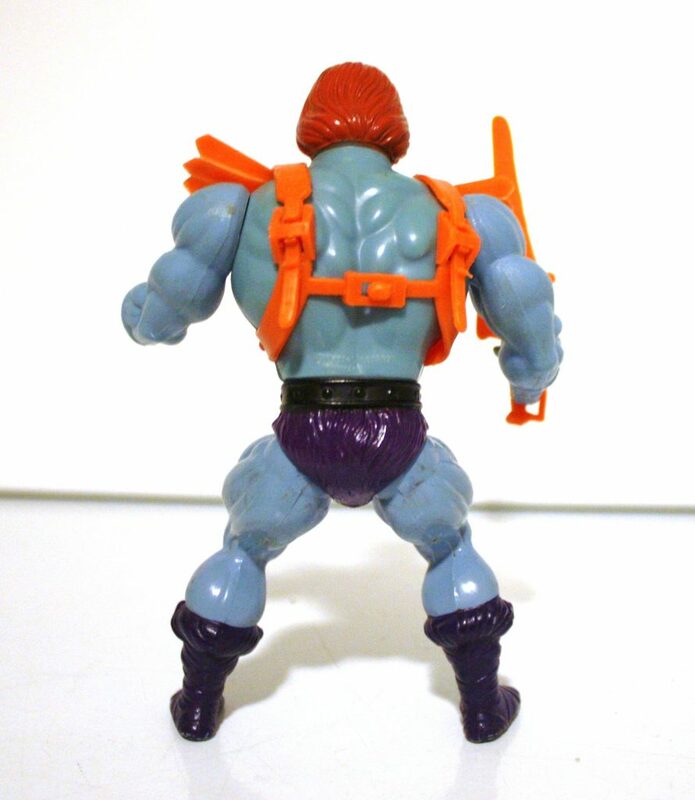 He was supposed to become the purple skinned Bizarro version in the Filmation cartoon, but they never did a sequel after he fell into The Abyss. 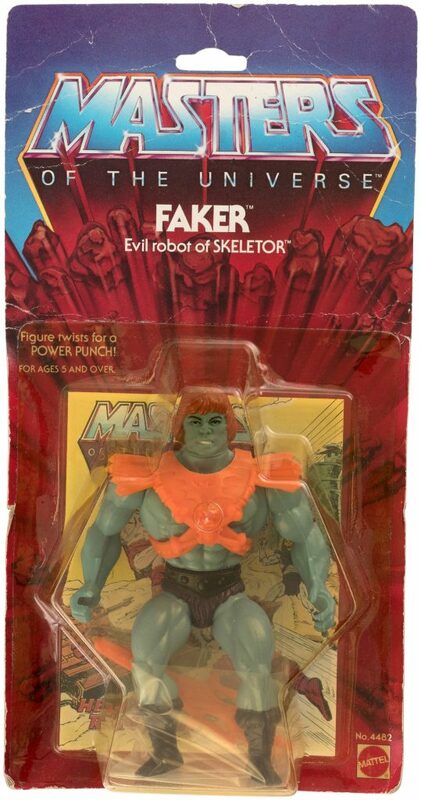 For what it’s worth, I gave him the same powers as He-Man when I played as a kid, but he could be prone to mechanical mishaps.Sometimes I would have him turn on Skeletor. Since Faker had a Power Sword and super strength, I had to push him to be a major player in my world. 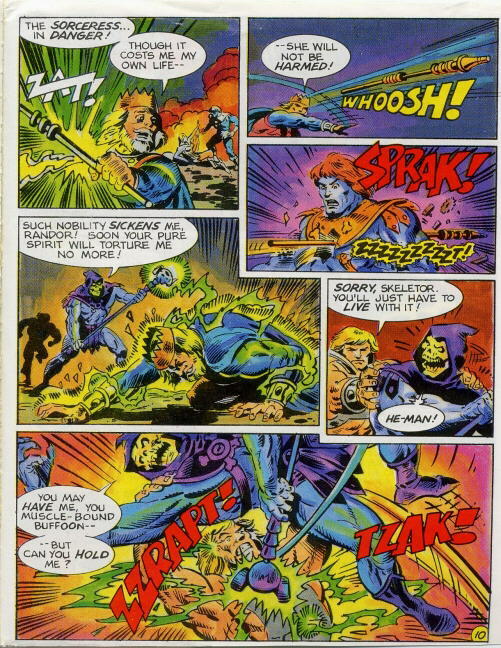 He really fits in well with Skeletor’s anti-heroic purple minions, like Panthor, Screeech, and Evil Lynn. 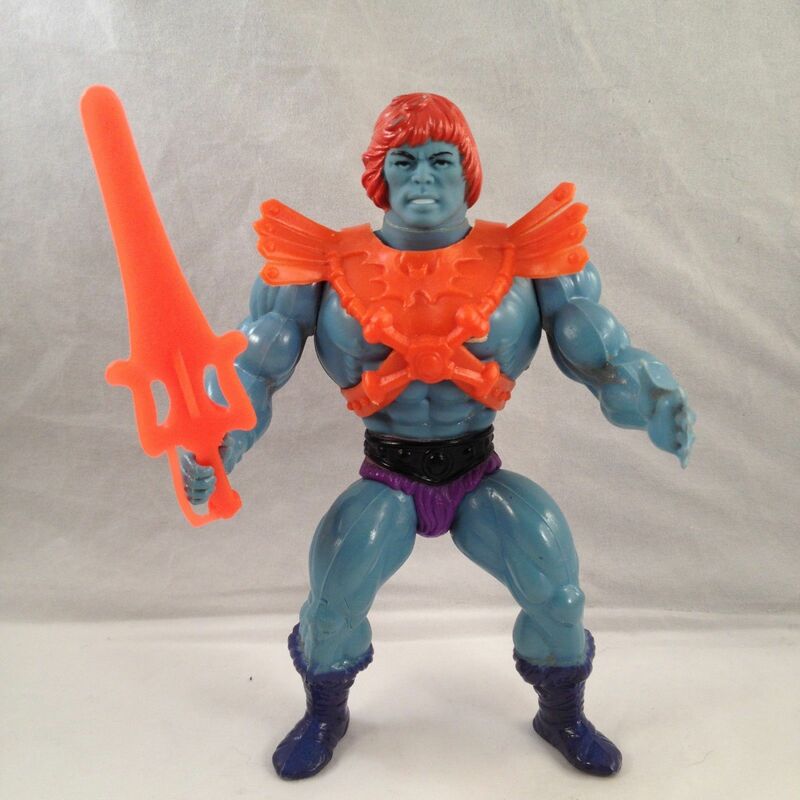 In my mind, he is the first variant of He-Man. 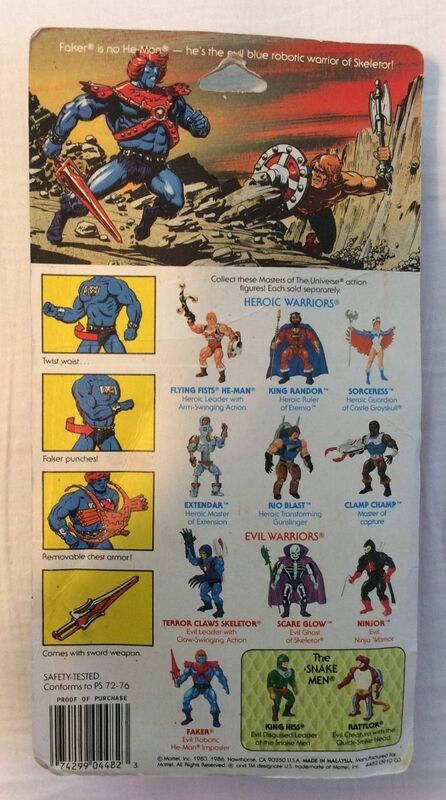 I got Battle Armor He-Man and Prince Adam but was not into any other He-Man variants after that, even until now. I think Faker has gotten a second lease on life in the last 15 years. He seems pretty popular with the fan community. 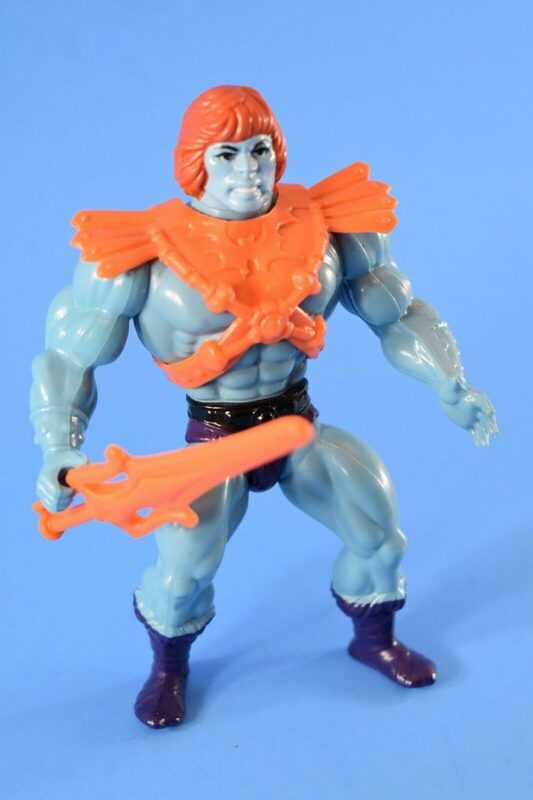 I remember encountering him once at a friend’s house as a kid, and of course I remember seeing him on the back of the Castle Grayskull box. I think you’re right, no one thought he was worth the time to fully develop as a character. For a cheap repaint, though, he’s a really cool looking figure. 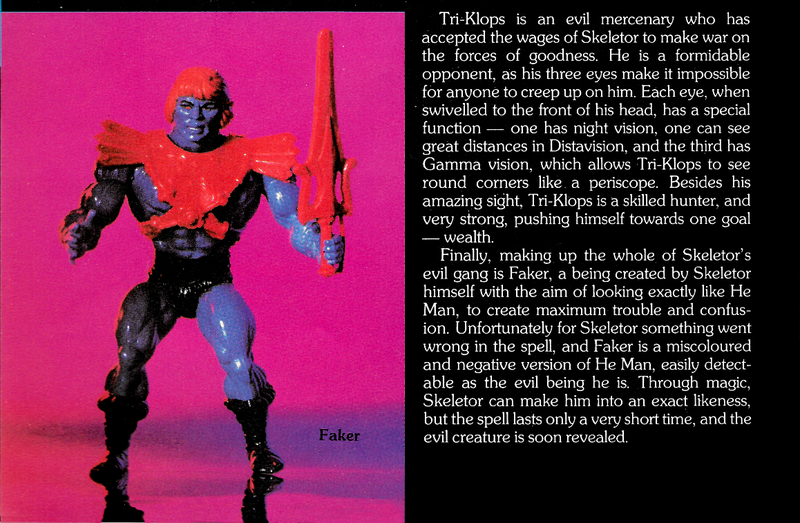 It funny to me to read how under emphasized Faker was on Mattel’s part. I recall when he was first released. 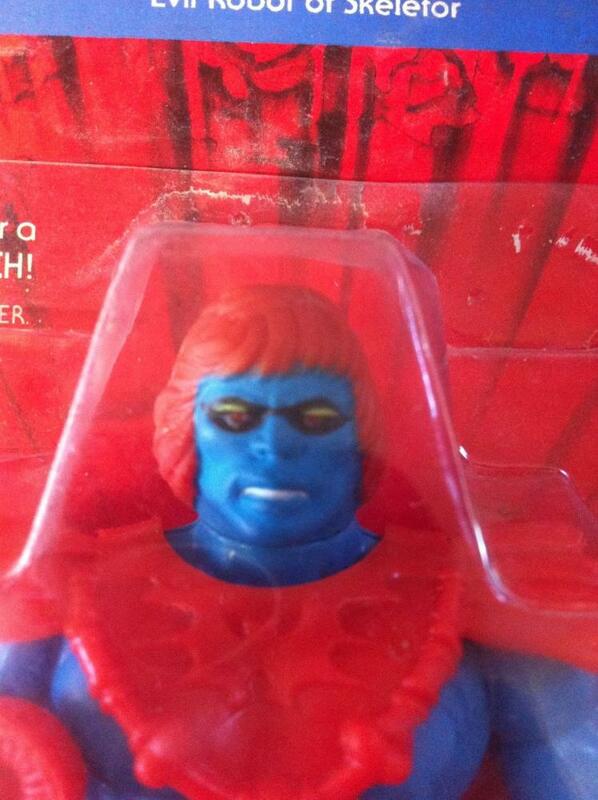 The rumors first hit in the school yard that so and so had, or had a friend who had, a blue He-Man and that he was bad. At first is sounded like another story that the kid who had every toy but no friends was telling to impress people, but then he brought it in. EVERYONE had to have Faker at that point, and from I recall everyone did. I don’t ever real him being difficult to find, both my brother and I had him. Faker was a huge hit among the 8 year olds that I knew. He never came across like a cheap reliant, just a bizarrely cool idea. Faker 8-back was indeed rare in the UK too. 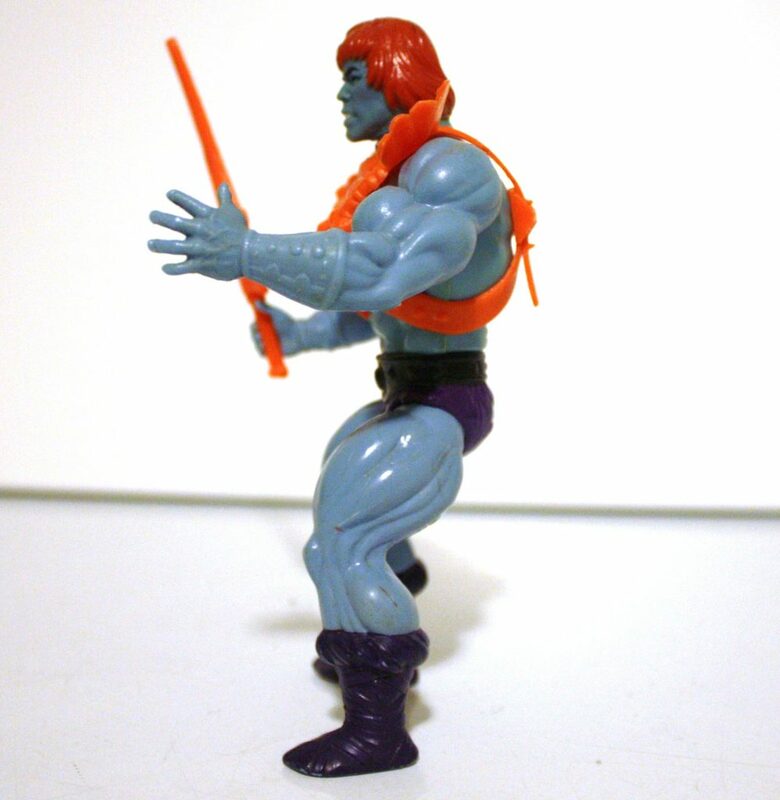 He appeared in the shops with all the other 8-back figures around June 1983, and he was the first figure to catch my eye – over He-man and Skeletor! 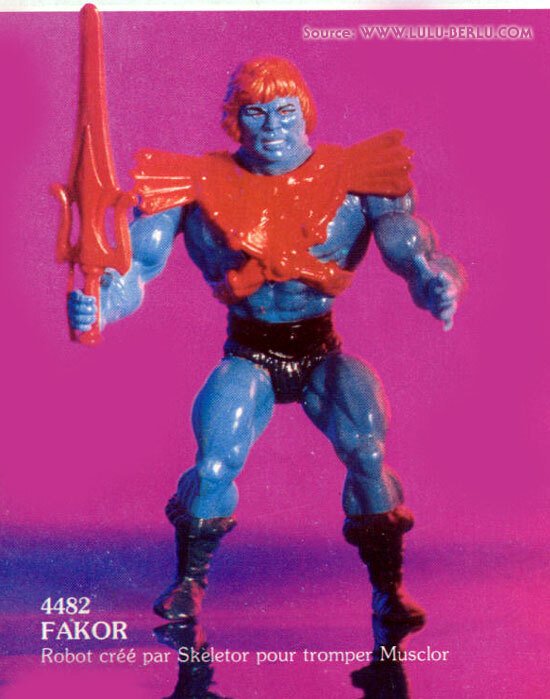 It was the singular concept of a blue evil-He-man that won me over to the entire world of MOTU. 8-back Faker soon disappeared, and after a few months I was beginning to believe I had imagined seeing him. 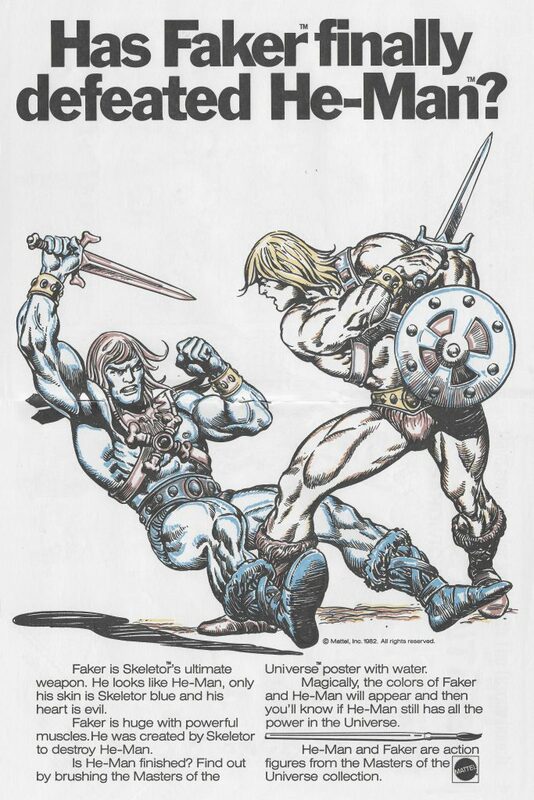 Then the 12-back version appeared with the picture of him battling He-man, and the 1984 annual soon followed. I was disappointed that Faker didn’t get much else story-wise, and not even his own mini-comic. 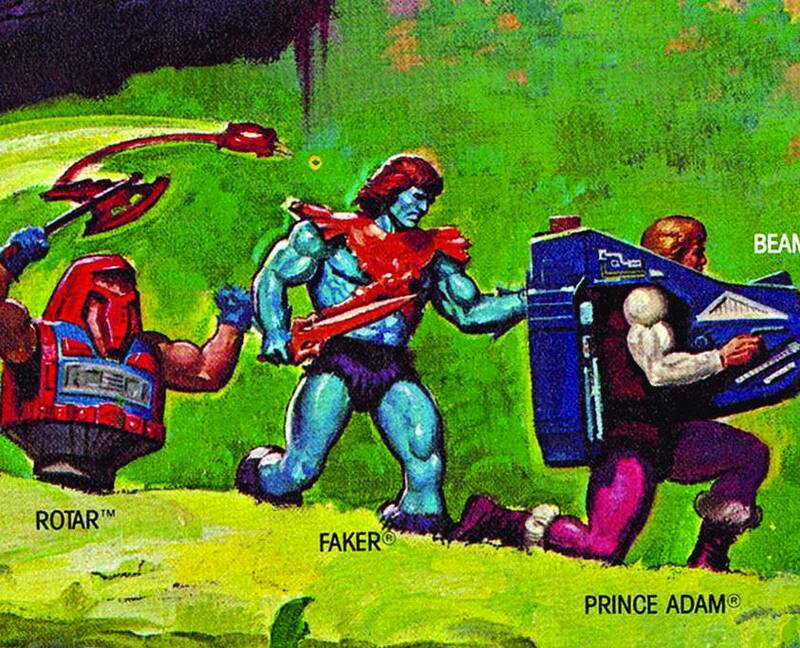 This was planned for around 1983/84 but dropped, according to the MOTU mini-comic book, which shows the script for the Faker mini-comic. 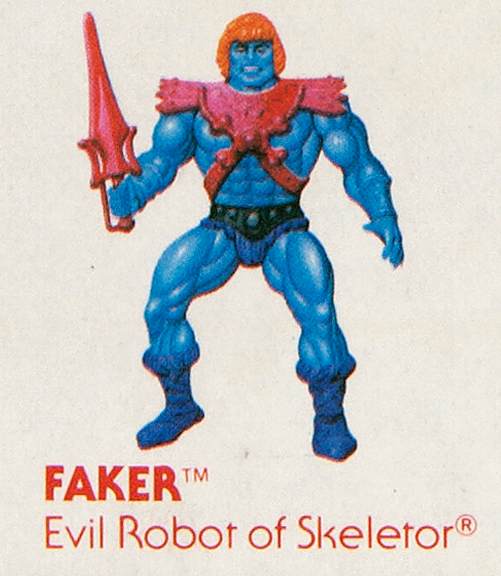 As a kid I did not like Faker. 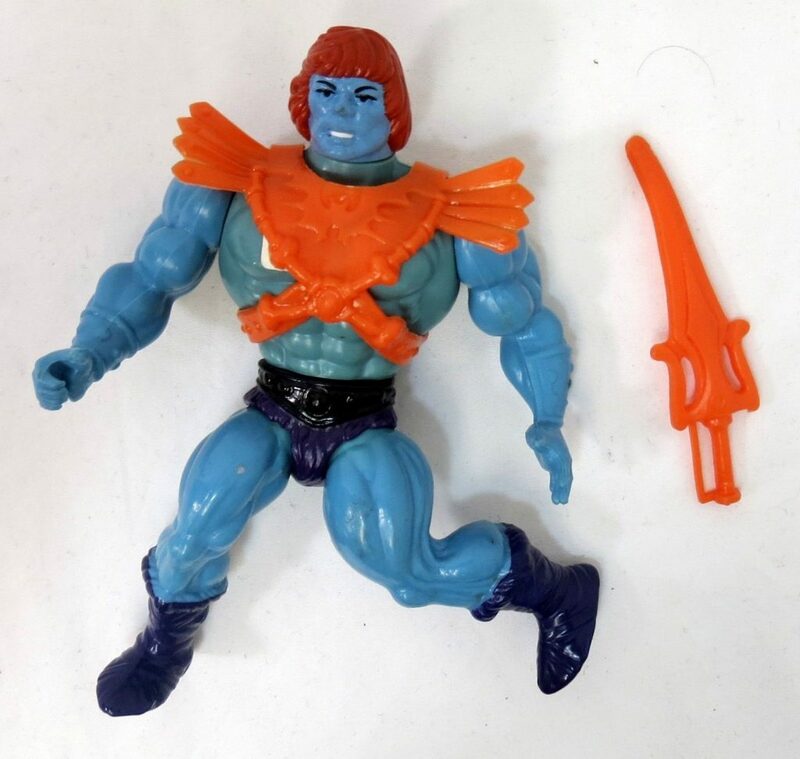 I thought it was cheap trick from Mattel to just release a blue He-man. It was also a figure that I never saw in any store here in Europe. But now as an adult collector I quite like him, although I don’t always see him as a robot. 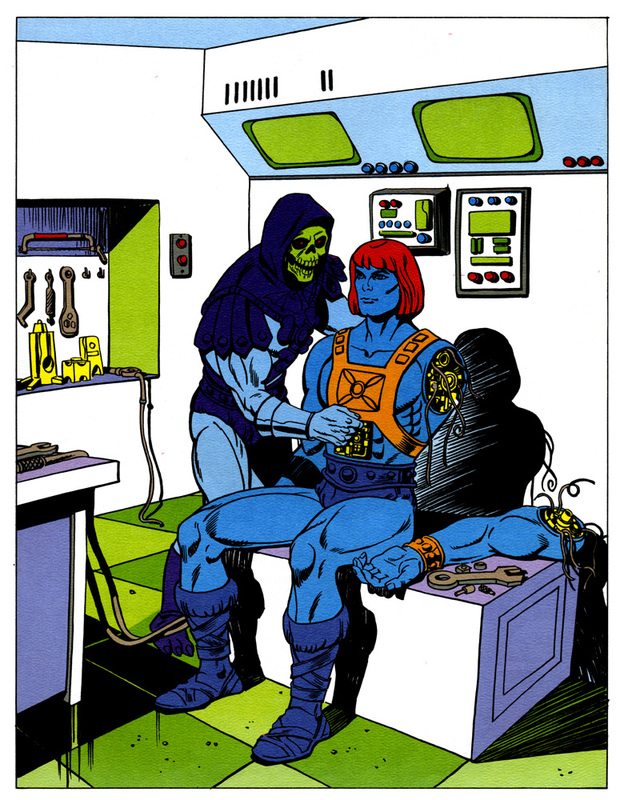 In my story he is more of an attempt of Skeletor to clone himself and He-man into one character. Hence the blue skin. 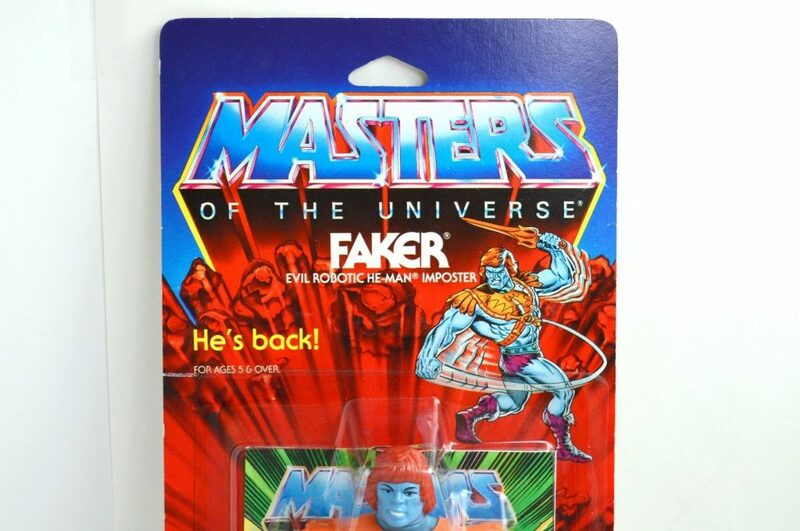 I think they colered the wrong Heman blue on the Faker Card back by mistake. The guy hiding behind the rocks should be Faker and the guy running should be Heman. 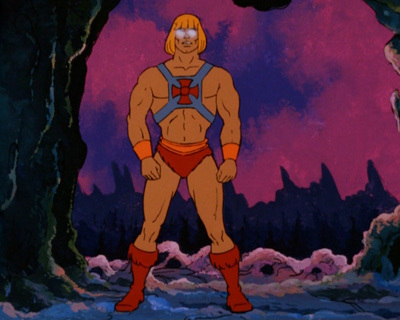 Look how evil Heman looks and why would he hide and attack some guy who is just running around. 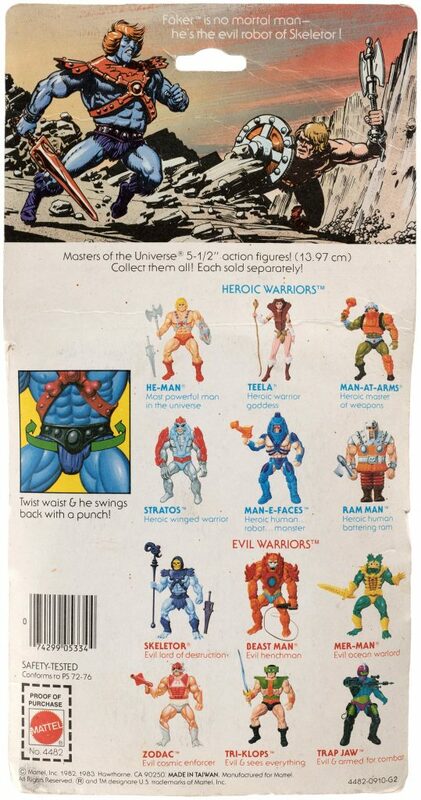 I do recall Faker being released in my area (Richmond Virginia) right around Christmas 1982. Yes, I thought “wow, what a cheap figure to slap together!” when he came out. 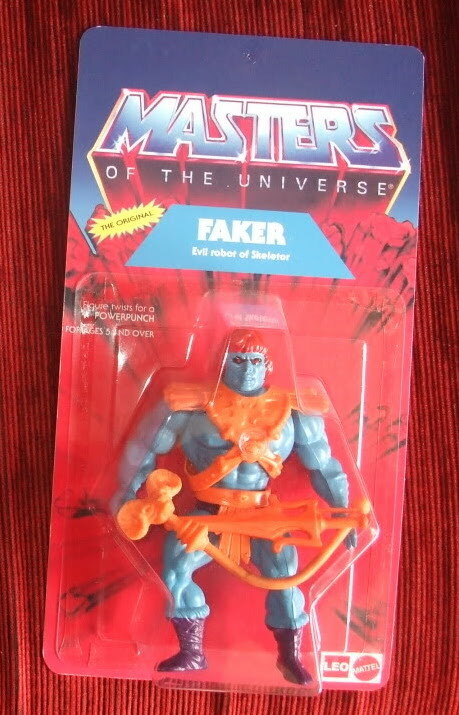 I think to have never seen a Faker figure in my entire childhood; maybe I saw him as cross sell art, but that memory is so vague that is likely a fake one. I could say that I never knew about his existence until recent years. Despite being a very old and abused concept, the “evil duplicate” idea remain very popular and works almost every time regardless: Spider-Man and Venom; Kitt and Karr (Knight Rider); Spock and Mirror Spock; He-Man and Faker. On top of that Faker is also a machine. 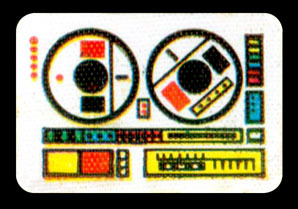 I remember one episode of Six Million Dollar Man and later some of the Bionic Woman where the enemies were androids and was very cool to saw them destroyed in a mess of short circuits and sparks everywhere by the hero/heroine. 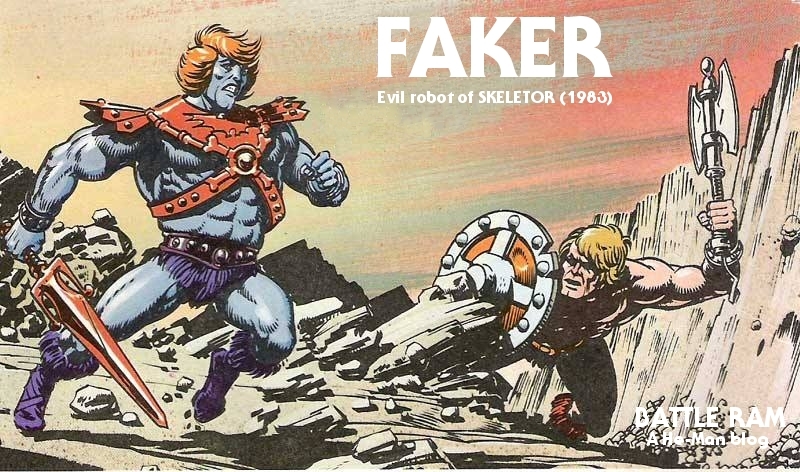 So Faker is an evil duplicate and can be destroyed (in kids’ imagination) in such way: no surprise that is a cult character now. 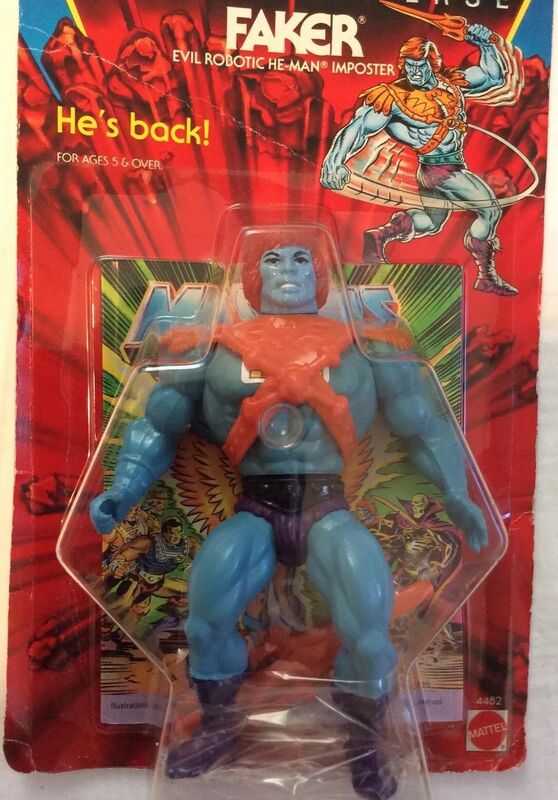 Too bad that back in the 80′ Mattel never promoted him properly. Yeah, poor Faker. He had to wait 4 years for his first minicomic appearance, and he’s immediately destroyed. 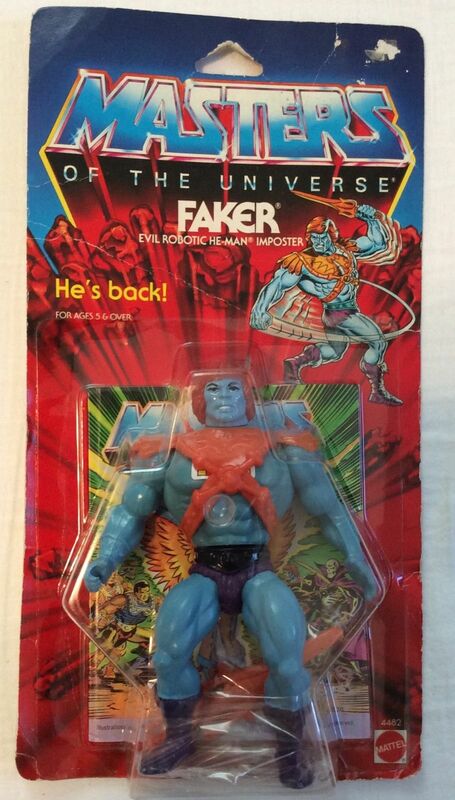 I always thought Faker would have been really great with a color change feature, like Zartan. 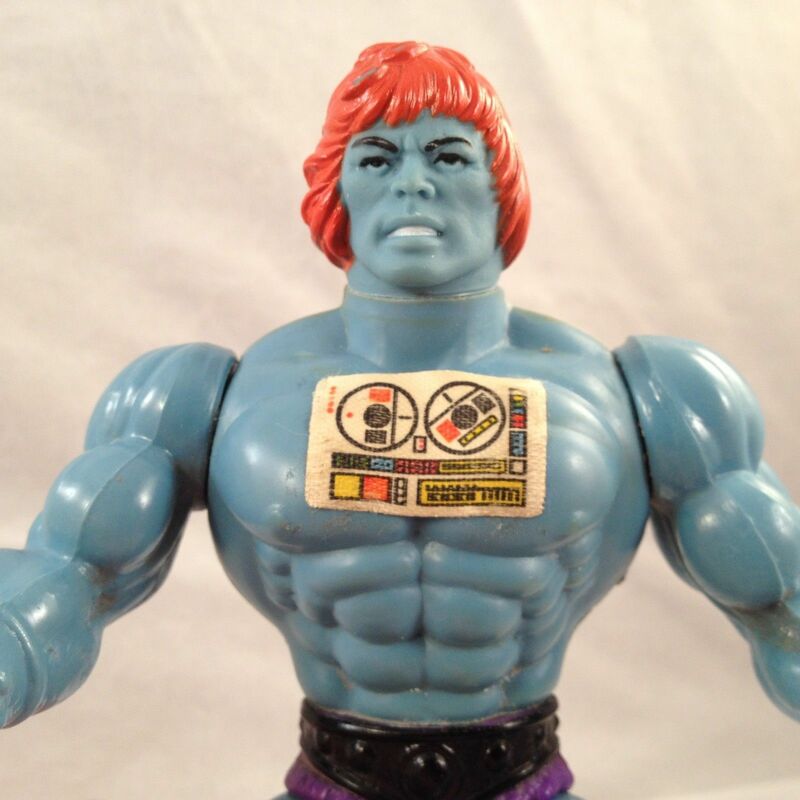 He could start out looking identical to He-Man, but his skin changes to blue in the sunlight, revealing that he’s an imposter. The color change feature is a FANTASTIC idea: it would have been awesome. Hi there. 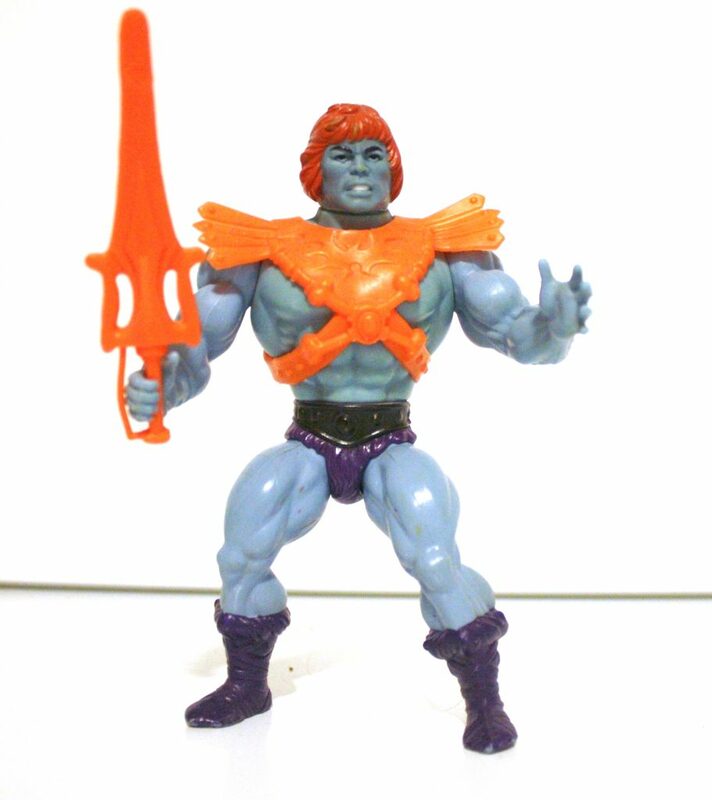 I am an avid MOTU fan from India. I also am a keen follower of battleramblog, and I think you have done a wonderful job of collating all this information. 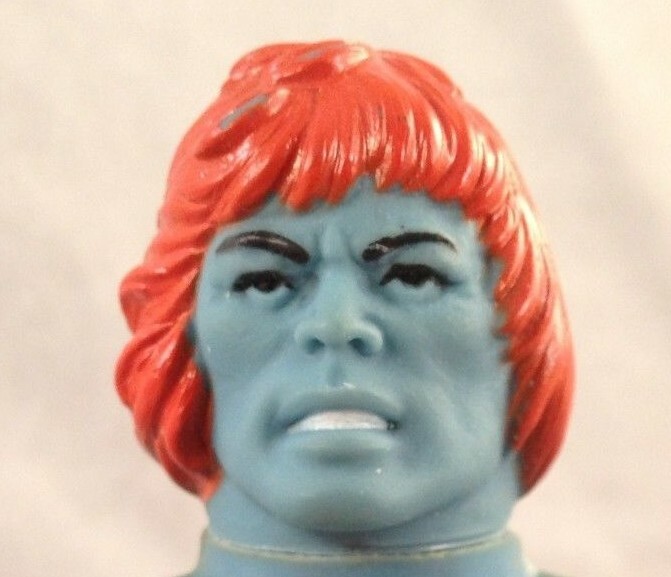 1) The soft head of Faker v1 (1983) was molded in blue with the hair painted on. 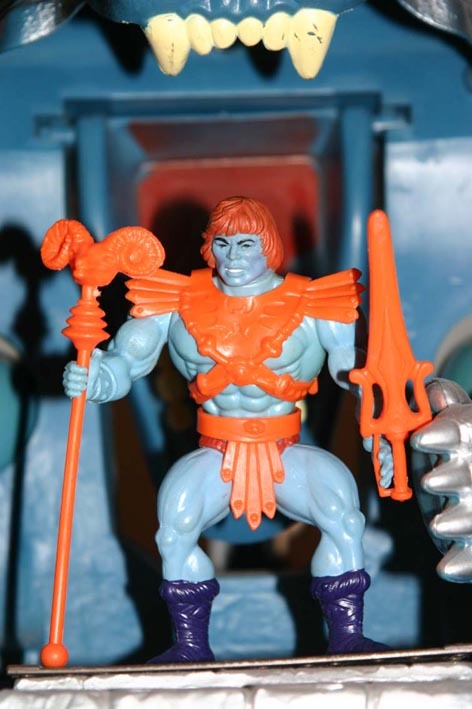 The hard head of Faker v2 (1987) seems to have been molded in orange with the face painted later. I have come across several v2 figures with the blue paint coming off the faces (play wear/neglect). 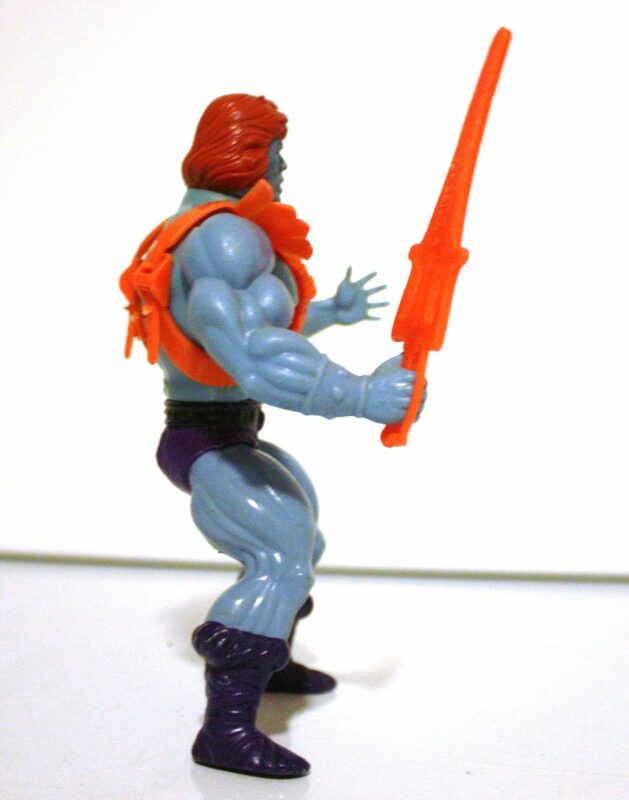 2) Faker v2 also had much larger feet (similar to Thunder Punch He-Man) compared to Faker v1 (regular feet). P.S. 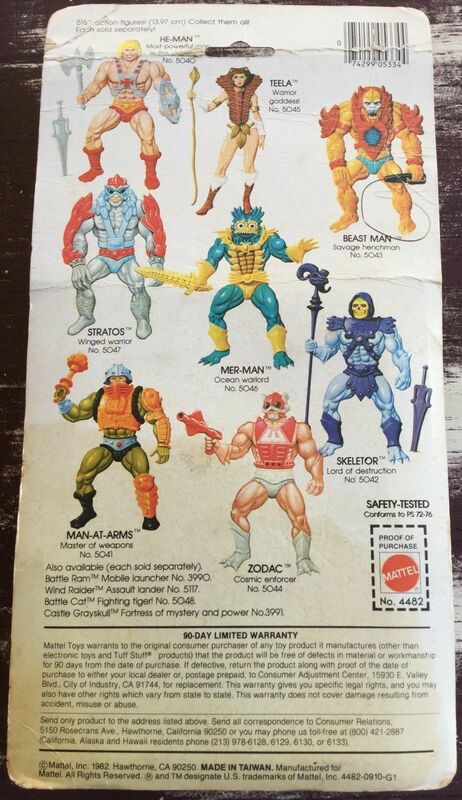 : I recently (around a year ago) started collecting vintage MOTU figures/vehicles/play sets with aim of acquiring the entire collection. 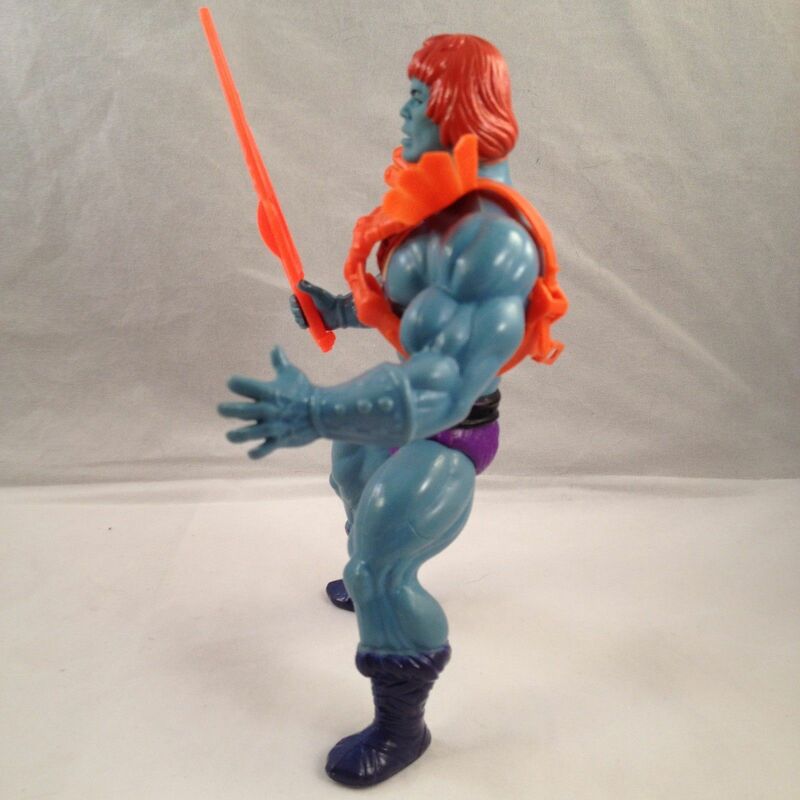 I am documenting my MOTU toy restoration project on Instagram (@skele_cure).